 This summer, Instagram reached 1 billion active monthly users. There’s no doubt some of your ideal customers are using this photo-sharing app, so what can your business do to leverage the platform? 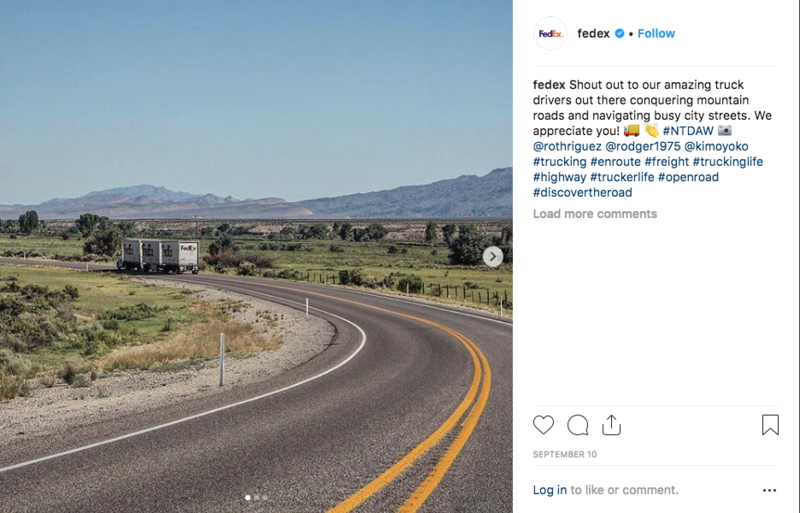 Instagram isn’t just for posting artistic photos of lavish food, street fashion, and #travelgoals scenery—businesses who embrace Instagram culture are benefitting from the growth of the platform, too. While the B2B companies will have to think a little harder than your local cupcake shop to find those ‘gram-worthy shots, creativity invested will certainly be rewarded with the social engagement that helps grow your business. Check out these five B2B Instas nailing the genre. Nobody likes piles of cords behind their desk, let alone finds the aesthetic admirable, right? 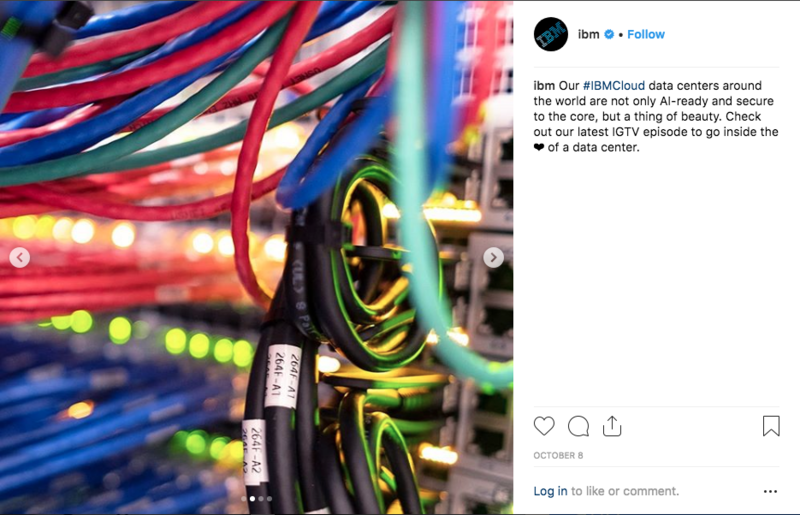 The amazing photos IMB shared of a Cloud data center’s organized cord structure might change your mind. IBM’s Instagram is full of breathtaking images of their computers past and present that flex both photography skills and the company’s long-standing history as a leader in computing innovation. HubSpot leverages short video and quirky visuals on their Instagram paired with captions about their mission that inspire users to share how they reach their goals. As #MotivationalMonday masters, HubSpot uses Instagram to share inspirational quotes perfect for any mood board or bathroom mirror post-it note. 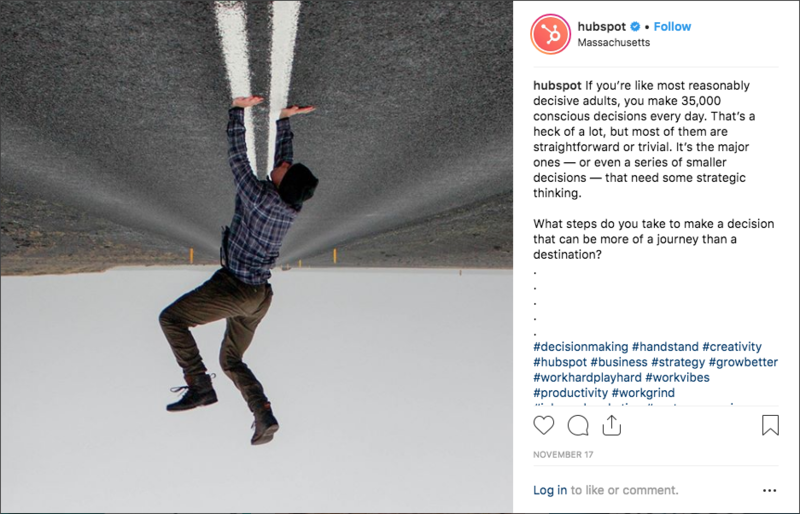 HubSpot is always thinking about what’s next, and their Insta illustrates this and encourages their followers to think outside the box with them. It’s no secret Millennials and Gen Z are looking for companies that not only provide great products and services, they’re looking for companies that do good in their communities. Wells Fargo is using Instagram to share ‘gram-worth moments in their community outreach efforts. Candid shots with Wells Fargo employees volunteering and their signature red stagecoach show a human side of their company to give their followers that warm, fuzzy feeling. FedEx: Travel account or international shipping company? Everyone loves a good #wanderlust photo. FedEx is capturing beauty everywhere their packages go, focusing on eye-catching scenery to attract users’ attention. While you’ll always find the FedEx logo in their posts, the logo isn’t usually the focus of the visuals. They’re embracing the spirit of the platform to share beautiful photos, which promotes their brand without disrupting feeds with heavily-branded images. 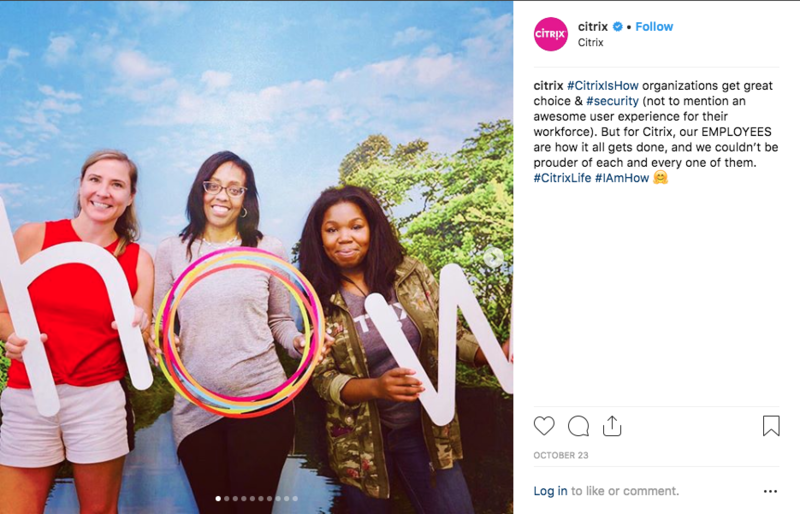 Citrix is a software company that uses Instagram to show off their company culture. Their feed is packed with photos of their employees having fun at company events, office parties, and community service opportunities. If Citrix’s Instagram were a person, they’d be that outgoing friend of yours who’s always up to something cool. There’s a variety of ways to embrace Instagram when you’re a B2B company, and you don’t need a fancy camera and editing software to make an impact on your audience. You just might need a good brainstorm session with your team to find the right angle for your business’s Insta that’ll be #worthit. If you’re interested in how ManoByte can help you utilize social platforms, click below for a free growth assessment!